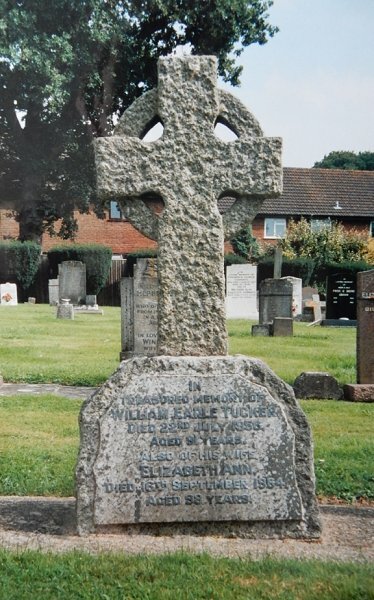 William Earle Tucker was born in Yeovil in 1865, the son of entrepreneur, glove manufacturer and town developer William Tucker (1838-1899) and Frances née Vincent. His father also ran the Glovers Arms in Reckleford from at least 1871 until his death at the turn of the century. 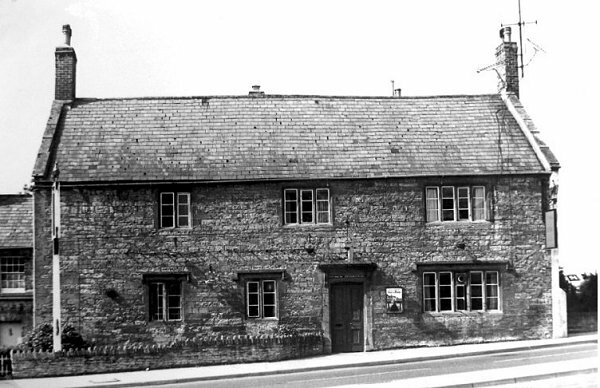 The Glovers Arms was also the family home. In the 1871 census William and Frances, were at the Glovers Arms where William was listed as 'inn keeper and glover'. Living with them were their children; Frederick (b 1863), William Earle (listed as Earle William ), daughter Amy Lydia (b 1867) and adopted daughter Sarah Mary Brooks. Frederick would later become headmaster of Huish School. When William Snr began investing in town development and providing housing for glove workers, he named two of the roads he built after members of his family; Earle Street after his son, William Earle, and Vincent Street, as well as Vincent Place after his wife's maiden name. At the time of the 1881 census the family were still at the Glovers Arms and 16-year old William, again listed as Earle (presumably the name the family knew him as?) listed his occupation as a Solicitor's Clerk. William would later join Newman Painter, a firm of Yeovil solicitors that later merged with Messrs Battens of Church Street. In the winter of 1889 at Yeovil William married Elizabeth Ann Lewis (b 1867), known as Bessie, daughter of Charles Lewis and Mary Ann née Minchington. William and Bessie were to have four children: Percy Earle (1890-1930), Ruby Violet (b 1895), Alec Vincent (1900-1987) and William Kenneth Sandsford (1902-1961). By the time of the 1901 census 36-year old William and 34-year old Bessie were living with their three eldest children and a young domestic nurse at Marlands, 118 Sherborne Road. William gave his occupation as a Solicitor's Clerk. William, Bessie, their three sons and a servant were still at the same address at the time of the 1911 census at which time William gave his occupation as a Law Clerk. He was elected to the Yeovil Borough Council in November 1920, as one of the representatives for the East Ward. Nine years later he became Mayor, an office he held for three years until 1932. He was elevated to the aldermanic bench in 1930. 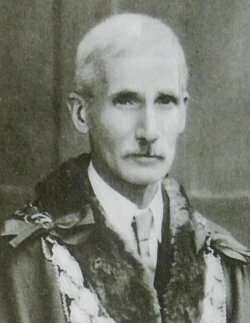 For twenty years William was Chairman of the Council's Improvement Committee. 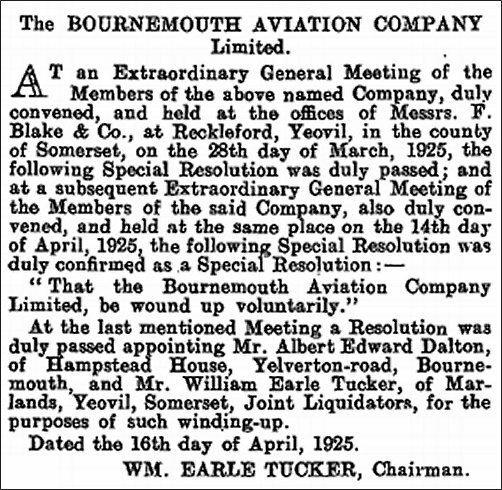 William had several business interests including being Chairman of the Bournemouth Aviation Company (see Notice below) for which he also provided the mortgages. He had also done much in the development of the Kinson and Winton districts of Bournemouth, and was also one of the owners of the extensive Weymouth Bay Estate. 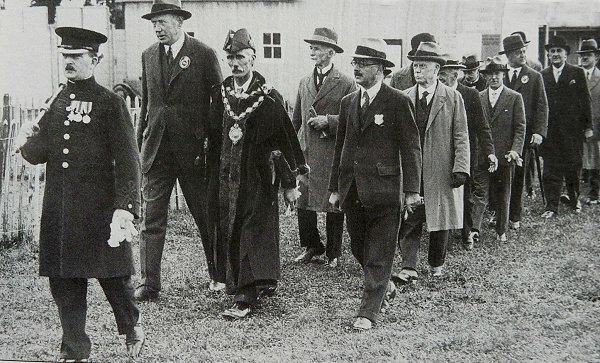 As Mayor of Yeovil, William officiated at the opening ceremony of the Mudford Road Playing Fields in June 1931 (see photograph below). In the days when the Bath and West Agricultural Show visited different venues, Yeovil was twice host for its staging. On the first occasion, in 1856, it was held in Ram Park and the second, in 1932 (Ram Park no longer being in existence) it was held in Barwick Park. 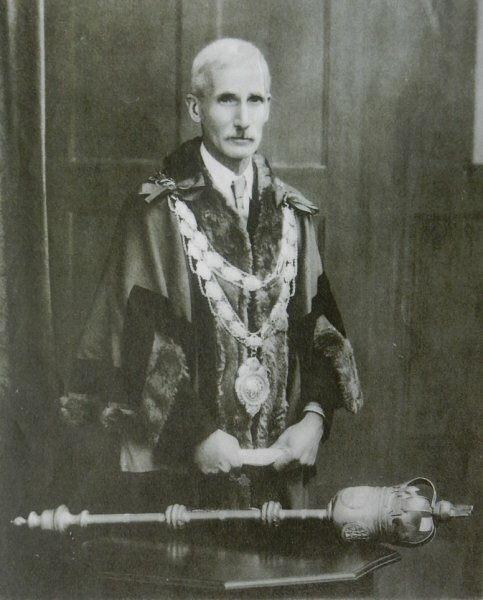 On this occasion the official opening of the show, on 25 May 1932, was performed by William in his role as Mayor (see photographs below). This four-day agricultural show, organised by the Bath & West and Southern Counties Society (the 'Royal' came much later), attracted almost 45,000 visitors. In November 1948, at the age of 83, William resigned from the Borough Council and in the following March was one of five men to be conferred with the honorary freedom of the Borough of Yeovil in recognition of their services to the community. William also took a keen and practical interest in the work of St John's church and was appointed People's Warden in 1914 and held the office for a quarter of a century. For many years he was also lay secretary to the ruri-decanal conference of the Merston Deanery. He enjoyed extraordinarily good health for a man of his age and in his latter years his only hobby had been gardening. On 21 July 1956, at the age of 91, William fell from steps while looking for a knife on a ledge in his greenhouse. He could not move one of his legs. He was attended by a doctor and X-rayed at Yeovil hospital but was transferred the next day to the Forbes Fraser Hospital at Bath. A report from the Forbes Fraser Hospital later said that on admission it was considered that if an operation was not carried out he would inevitably die from pneumonia. If an operation was, however, made, there was a chance of saving his life, even if only a small one. The operation was carried out without complications, but afterwards his condition deteriorated and he died a few hours later. Referring to Mr Tucker's "wonderful record of service in Yeovil" the Coroner said the town had lost a great man. "His family have lived in this town for many generations and I think we can say Mr Tucker did all he could for the interests of Yeovil." Probate was granted at Bristol in November 1956 to his three sons. His estate amounted to £78,685 (around £5 million at today's value). His wife Elizabeth 'Bessie' died on 16 September 1964 at Yeovil aged 98. Both William and Bessie are buried in the Town Cemetery at Preston Road. The Glovers Arms on Reckleford; William's early home. 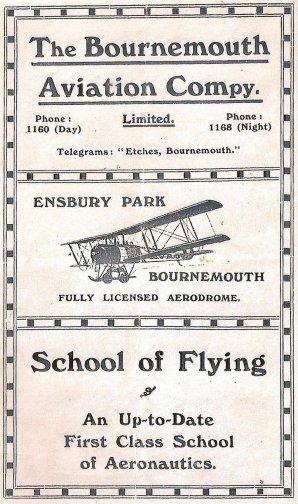 An advertisement for the Bournemouth Aviation Co Ltd during the early 1920s. William was the company's last Chairman. This notice, placed in the London Gazette's edition of 24 April 1925, clearly shows that William had his finger in more than one pie; in this instance as Chairman of the Bournemouth Aviation Company. The official Mayoral photograph of William Earle Tucker, Mayor from 1929 until 1932. 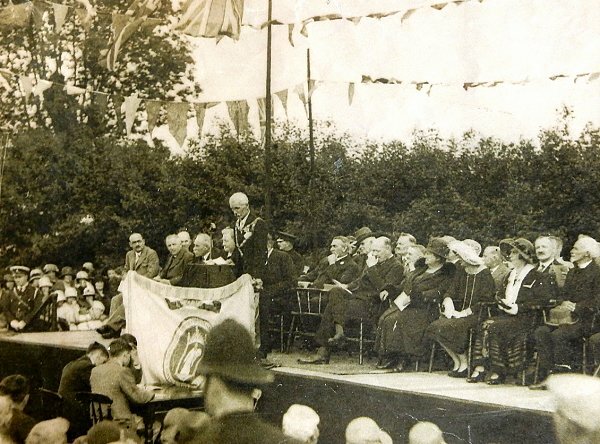 The official opening ceremony of the Mudford Road Playing Fields by Mayor William Earle Tucker in June 1931. 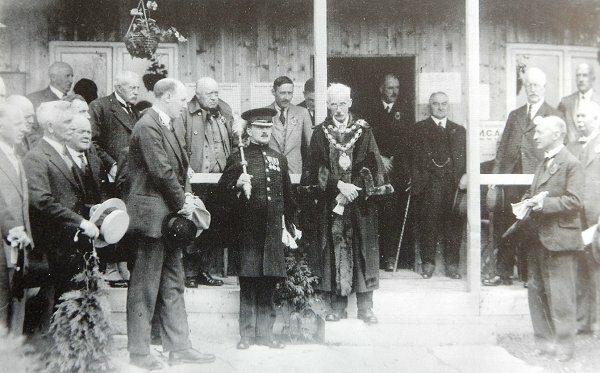 The official opening ceremony of the Bath and West and Southern Counties Society's show at Barwick Park by Mayor William Earle Tucker on 25 May 1932. The Yeovil Town Council delegation, all looking remarkably unhappy, at the opening of the Bath and West and Southern Counties Society's show, 25 May 1932. Left to right are Mace-Bearer Joseph George Boucher, Major (later Colonel) Batten the Town Clerk, Mayor Alderman William Earle Tucker looking extremely glum, Alderman William Mitchelmore, Councillor Sidney Clothier the Deputy Mayor and Alderman Jabez Matthews. William and Elizabeth's headstone in the cemetery at Preston Road.